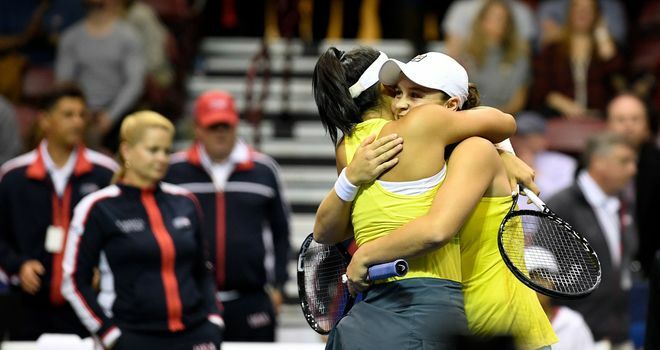 It was a similar finish in Australia's 3-2 win over the USA in North Carolina, with Ash Barty and Priscilla Hon beating Danielle Collins and Nicole Melichar 6-4 7-5 in the deciding doubles. "It's the best feeling in the world, to be honest," Barty told reporters. "No matter what the crowd is like, when you're playing with Australia written on your back, wearing the green and gold, it's the best feeling, regardless if you're home or away."